Much applause for Steven Slate, but is it as amazing as they'd like us to believe? 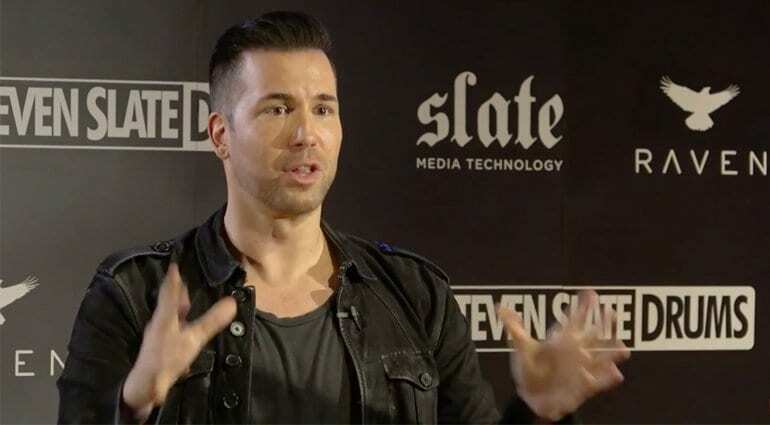 Slate Digital have published a Keynote presentation by Steven Slate himself, ahead of the NAMM show. They are introducing what they call the Slate ‘Virtual Recording Studio’. Building on their many plug-in emulations of mixing and mastering tools and the Slate Virtual Microphone System, these new products are designed to complete your personal recording studio. 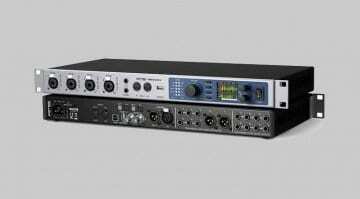 The new products include an interface called the VRS8 and a small diaphragm microphone, the ML-2. Steven builds a lot of hype around these new ‘solutions’ in his presentation. However, there are many un-answered questions at this stage and we are left wondering what the hot air is all about. 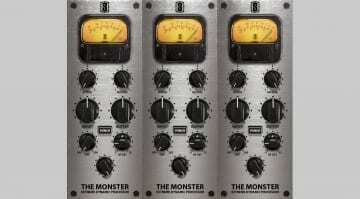 Slate have been building a large collection of plug-in emulations for a variety of mixing and mastering tools for some time now. 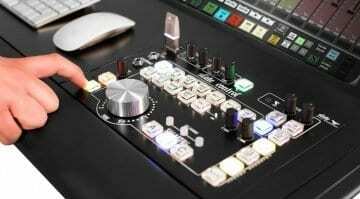 These have quickly become some of the industries favourite plug-ins, and with the ‘Everything’ bundle, Slate set a pricing precedent for others to follow. Then last year, Slate were the first people to attempt modelling classic large-diaphragm studio microphones with their VMS system. Although another solution may have appeared in the mean time, Slate have much larger pie on offer. 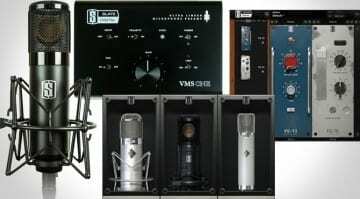 To complete that pie, this year at NAMM they are offering two new products to complete the ‘Virtual Recording Studio‘ dream package. First up is the VRS8, which appears to be an audio interface with impressive audio specifications. 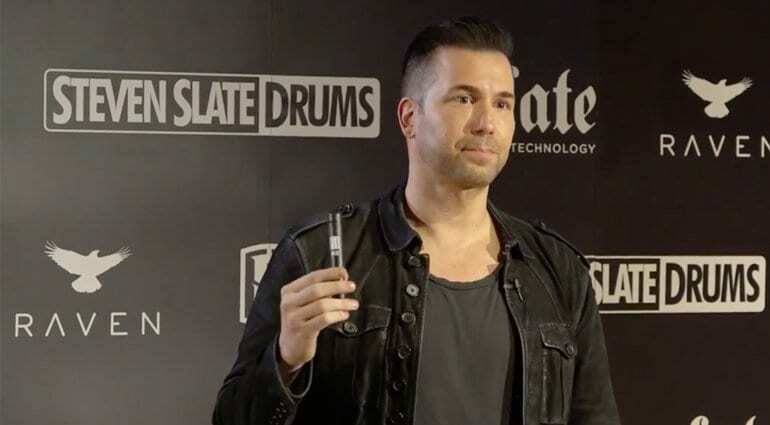 Built with 8 of Slate’s VMS-One mic pre’s, Steven says that they have opted for some high-quality components to attain “the most accurate sound they can achieve”. This involves the converters having a dynamic range of 124dB, which we must acknowledge as very impressive. However, Steven also spends time discussing the pro’s and con’s of DSP vs Native solutions. We already know that DSP systems are limited and we are hungry for more power all the time. Steven tries to demonstrate this by loading a UAD system with plug-ins and then a Native system with their equivalent plug-in. While there is some truth in this, it’s not really a fair test or necessarily one that is justified. The trouble is, we aren’t yet clear if the VRS8 will have any DSP, but it appears they are championing the Native route. This is fair enough, but it doesn’t strictly permit you to track with processing in place, or ‘processing to tape’ as you can with a UAD system. There’s nothing wrong with either method, they are simply different working methods. But based on the little info we have so far, it doesn’t feel like Slate have made the most compelling argument. Besides the mic and pre-amp modelling technology, the only breakthrough I can see here is a very low round-trip latency. They mention an impressive figure of 0.7ms at 96kHz, but this of course doesn’t take into account any processing you apply. Therefore, we haven’t quite solved the situation yet have we? To achieve these low latency values, Slate have decided to go with Thunderbolt connectivity for Mac. No surprises there, then. However, for PC where the story is more complicated, Slate have took it upon themselves to design their own PCIe card. Connectivity with the interface is made using a regular HDMI cable. This is quite a bold move but with the market changing so rapidly, who knows how long this PCIe card will be required by PC users. On the plus side, at least they’ve tried to offer a viable solution that can be used now. So what else does the VRS8 give you for your 1,999 USD? Full details haven’t been announced yet, but all we currently know is that there will be 2 headphone ports, 2 instrument inputs and MIDI connections. It will be good to understand how headphone mixes are created, if there are any other outputs or digital connectivity such as ADAT for expansion of inputs. On the subject of ‘Virtual Recording Studio’, which is presumably where the abbreviation ‘VRS’ comes from, Slate’s software emulations are included. Oh wait… they are only included for a year. With the purchase of a VRS8, you will get a permanent license for Slate’s pre-amp emulations and a license for Slate’s ‘Everything’ bundle, but only for a year. ‘Virtual Recording Studio’ this might be, but ‘Complete Recording Studio’ this isn’t. To continue the story of their ML-1 large diaphragm condenser microphone, Slate are also introducing this new small diaphragm model. This is an obvious progression and I’m pleasantly surprised at the price. I’m also really impressed with the ‘Dynamic’ switch, which prevents this condenser mic from self-saturating when used on high SPL sources. However, the same questions start to arise as they did with the ML-1. What happens with polar patterns, or how various mics react differently with the proximity effect? So many mic techniques are about understanding these vital characteristics of your mics. Here though, we have a very rock ‘n’ roll approach of pointing a mic at the source, on axis, and ‘fixing it in the mix’. NB. I raised these questions before the Townsend Labs solution was even known! See my original article here. There isn’t any information available on Slate’s website yet, but as the products will be on show at NAMM 2017, details should go live soon. As revealed in the video below however, prices do look tempting. 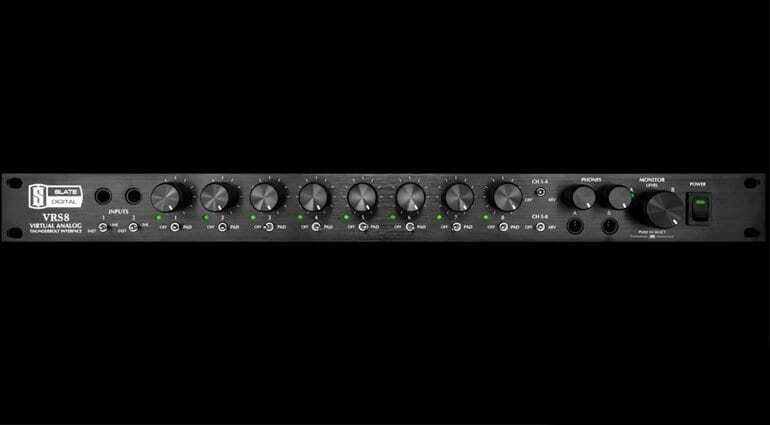 The VRS8 interface will be 1,999 USD and a single ML-2 microphone will only be 150 USD. Slate will also be making some packages available under the context ‘Virtual Recording Studio’. Firstly, a 5 pack of ML-2’s and a VRS8 will be 2,499 USD, or a 5 pack of ML-2’s plus an ML-1 and the VRS8 will cost 2,999 USD. Here’s the Keynote presentation by Steven Slate announcing these new products. Be warned, there’s a lot of clapping and cheering, even more than an Apple Keynote contains! Published on SlateTV’s YouTube channel. Has there been any mention of WHEN the VRS-8 and ML-2 bundles will be available? Mid Q2 of this year~ May. Not with zero latency no, but 0.7ms latency, which is pretty damn low. I don’t think anyone is going to have a problem with that. I’m glad you mentioned the expansion possibilities. The only thing mentioned was “Mix Link” which could be used to link a second unit. Never heard of it and I don’t believe there are any other interfaces using the technology. 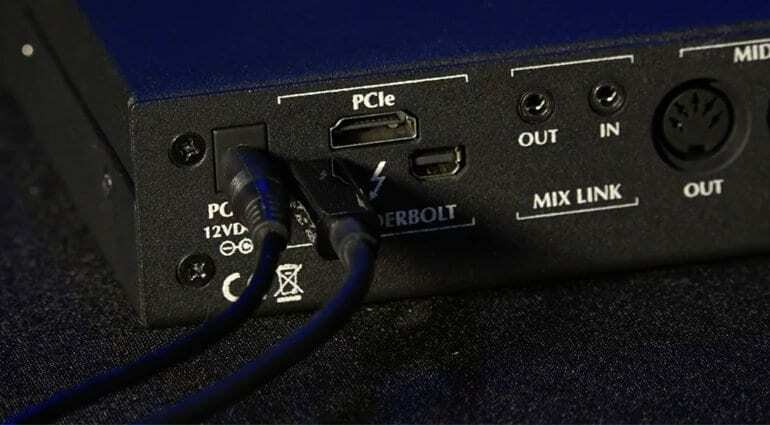 Product images on Sweetwater’s website show two Thunderbolt ports along with a PCIe port. The “Mix Link” openings are comparable to 1/8″ TRS inputs. Not sure why they didn’t go with optical or something more widely used. You can chain 6 of them together via Thunderbolt the way you would with any other MAC-based peripheral. That’s why there are 2 TB ports.